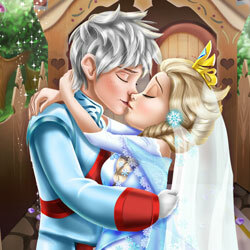 Description: Wedding bells are heard from far away, Ice Queen is getting married! The two lovebirds only have eyes for each other, but they don`t want to get caught kissing by their friends. Help the couple trick their guests, before time runs out, and make this romantic moment a beautiful memory for the newlyweds!